Deep Purple is based on a variety with many aliases, the legendary Purple Urkle. TGA Subcool crossed it with Querkle, which is a blend of Purple Urkle and Space Queen, wherein Space Queen is a mix of Cinderella 99 and the famed 100% Indica Romulan. The result is a short and stocky plant that does not grow very fast and yields only averagely, but delivers a superior end product. 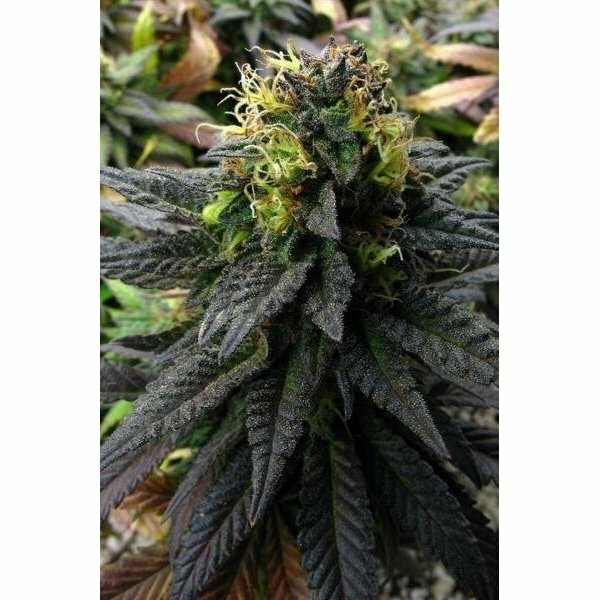 Deep Purple is based on the legendary Purple Urkle, a variety with many aliases. Purple Urkle is also sold under the names Humboldt Purple, Mendocino Lavender, Bridgeville Black Afghan, Nepalese Purple, Pakistani Purple Kush, Garberville Purple Kush, Swerve's Cut, Mendocino Purple Kush and Kyle Kushman's Purple Kush and Tooty Fruity Purple - and very likely many more. It is only available as clones and cannabis connoisseurs and medical users are wringing their hands to get their hands on one. 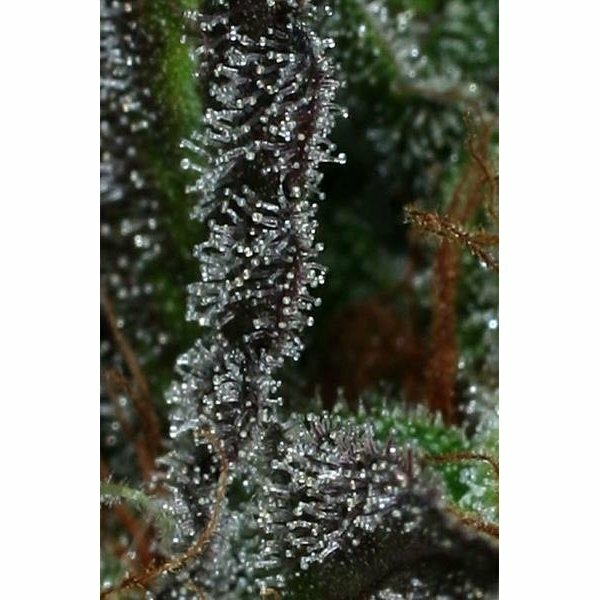 TGA Subcool crossed one of those clones with Querkle, which is a blend of Purple Urkle and Space Queen, wherein Space Queen is a blend of Cinderella 99 (this variety added the Sativa dash) and the famed 100% Indica Romulan. The result is a strain with a huge Indica share, namely 90%. Plants brought up from these seeds don't grow very fast, but rather require a long vegetative period and even then they stay fairly short and stocky. Make sure you grant her space sideways though, as she likes to spread her arms wide. Deep Purple produces a wide range of phenotypes and not all of them will exhibit the beautiful play of colors, so if you after plants with the most distinctive Purple Urkle traits, look for the ones with the purple touch. Those will produce the most pronounced grape and berry aroma and flavor that is so highly sought after by many. After the slow growth you will be happy to see the plants speeding through the flowering time within only 50-60 days and at the end of that time you will be performing a joy dance. The buds are intriguing the eye with their composition of purple and lime-green, jazzed with yellow, orange and reddish pistils and the layer of resin-filled trichomes. The potency of Deep Purple is a plain 10 out of 10 - say goodbye to pain and get thee into the embrace of the calming and relaxing effect.